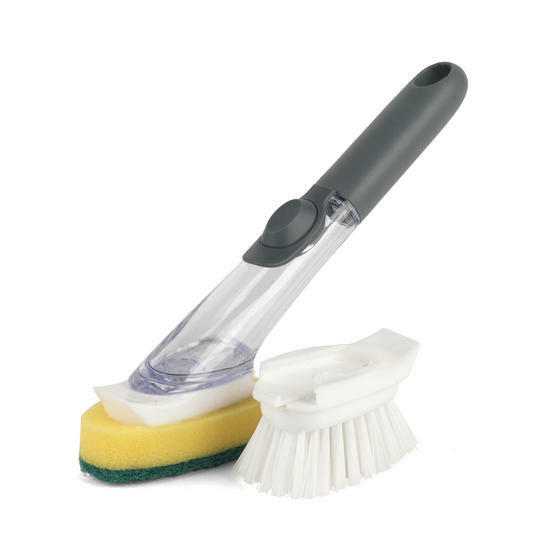 Make light work of your washing up with this fantastic Beldray kitchen cleaner which has interchangeable heads suitable for numerous jobs. 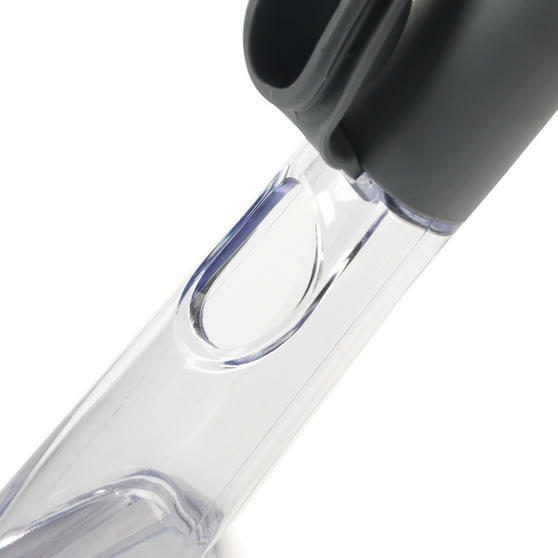 Designed to withstand the demands of a busy kitchen, the handle can be filled with washing liquid which is gradually released as you clean. 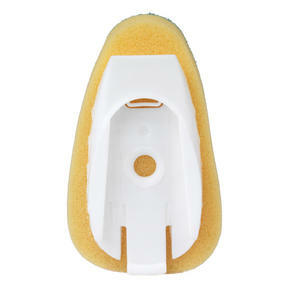 The handle is comfortable to grip and allows you to keep your hands clean while you wash. With a scrubbing brush and a sponge head included you can wash plates and scrub pans all with one convenient washing tool. 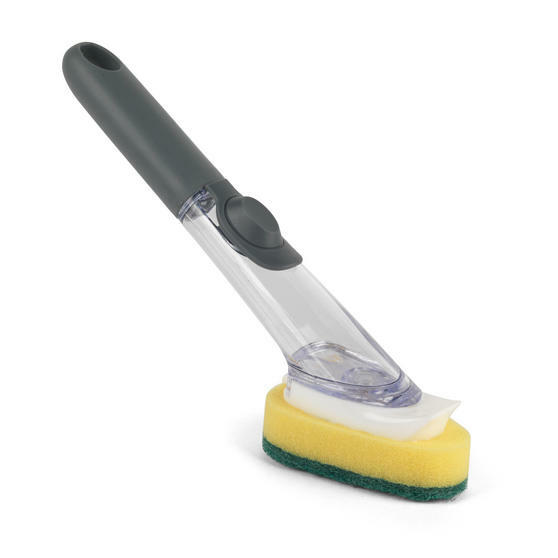 An ideal addition to any kitchen cleaning set, this effective Beldray can be filled with washing up liquid for a thorough clean. 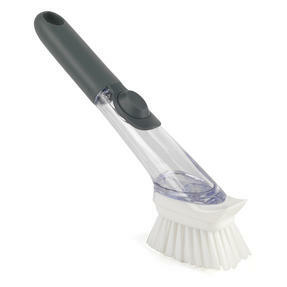 The multi-functional dish brush comes with two interchangeable heads, one with tough bristles and the other with a sponge. 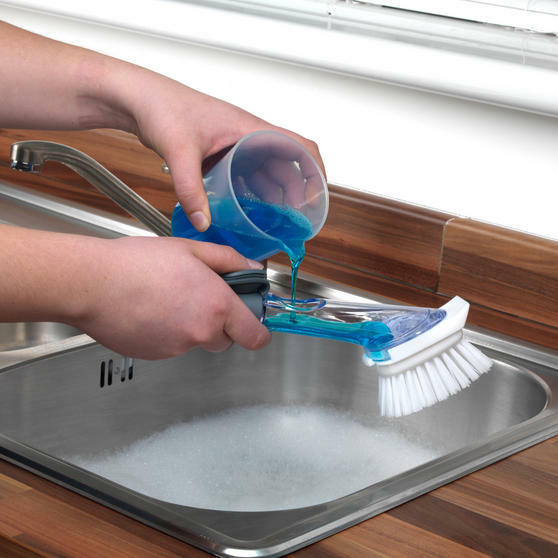 The handle can be refilled with washing liquid effortlessly and it will prevent your hands from getting wet and dirty while washing. 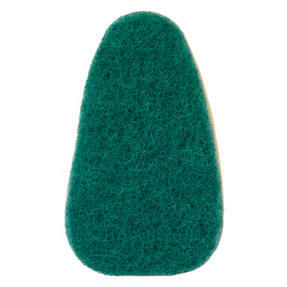 With strong bristles to scrub away lingering foods, the scrubbing brush head is ideal for cleaning tough marks on cookware. Ergonomically designed for convenience, the handle is shaped to make the brush easy to grip and comfortable to use for long periods.